O god, who wills not the death of a sinner, but rather that he be converted and live, grant we beseech You, through the Intercession of the Blessed Mary, ever Virgin, Saint Joseph, her spouse, Blessed Junipero Serra, and all the saints, an increase of laborers for Your Church; fellow laborers with Christ, Your Son, who lives and reigns with you in the unity of the Holy Spirit, world without end, Amen. O God, You have constituted Your only begotten Son supreme and eternal Priest for the Glory of Your majesty and the salvation of mankind; grant that those whom He has chosen ministers and dispensers of His mysteries may be found faithful in fulfilling the ministry they have received, Amen. Lord, we pray for our vocation, keep us firm in our faith. May we not falter in the face of difficulties. May we be generous in service. Send us, Lord, many active laymen and women for the vocations’ work for Serra. Give us great friendship among ourselves and make your love grow in our hearts, so that we may help many to leave all things to follow you. We ask this through Jesus and Mary, Amen. O God, throughout the ages you have called women and men to pursue lives of perfect charity through the evangelical counsels of poverty, chastity, and obedience. During this Year of Consecrated Life, we give you thanks for these courageous witnesses of Faith and models of inspiration. Their pursuit of holy lives teaches us to make a more perfect offering of ourselves to you. Continue to enrich your Church by calling forth sons and daughters who, having found the pearl of great price, treasure the Kingdom of Heaven above all things. 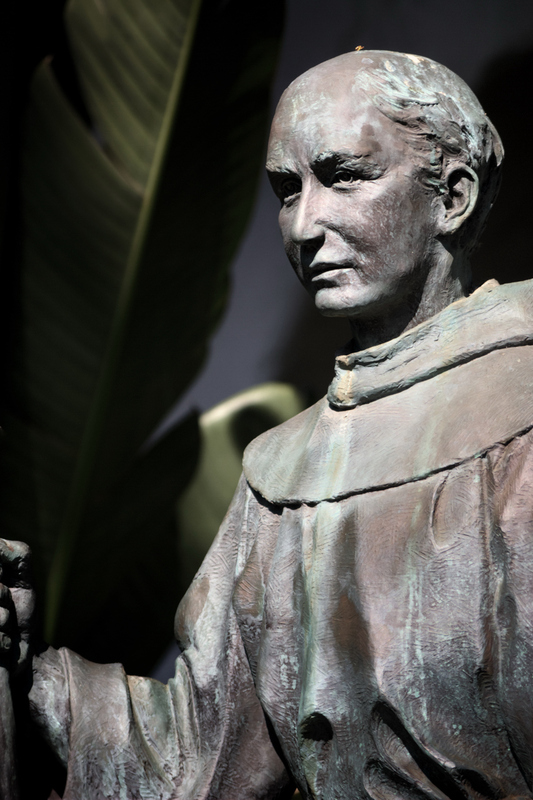 Heavenly Father, we ask you to look lovingly on the missionary journey of your faithful servant Junipero Serra. His steadfast efforts in founding nine missions in California and the conversion of thousands of Native Americans have inspired the information and work of Serra International. This ministry in Father Serra’s name is to encourage and affirm vocations to priesthood and vowed religious life. We pray that you bless this holy and courageous missionary and grant him the ultimate honor of Sainthood in your heavenly kingdom. O God, in the past you called men and women to dedicate their lives to you through priesthood and religious life. Today stir up the grace of a religious vocation in the hearts of many within our parish community. Grant them the willingness and generosity to place their lives completely in your hands as priests, brothers and sisters. Help me to support them by my own fidelity to your call to holiness through prayer and Christian service.